Baseline sleep duration has a U-shaped relationship with type 2 diabetes, but little research examines the associated changes. We examined long-term changes in sleep duration and concomitant changes in diet, physical activity, weight and subsequent diabetes. The cohort includes 59,031 women aged 55–83 years in the Nurses' Health Study without diabetes in 2000. Change in sleep duration is the difference between self-reported 24 h sleep duration in 1986 and 2000. Diet, physical activity and covariates were updated every 2–4 years. Self-reported diabetes was confirmed via validated questionnaires. Cox regression models were adjusted for 1986 sleep duration and 1986 values of diabetes risk factors, including BMI, and subsequently for change in covariates from 1986 to 2000. We documented 3,513 incident diabetes cases through to 2012. Compared with no change, decreases in sleep duration were adversely associated with changes in diet quality and physical activity, while increases were associated with greater weight gain. After adjustment for 1986 covariates, HRs (95% CI) for ≤−2, >−2 to <0, >0 to <2 and ≥2 h/day changes in sleep duration (vs no change) were 1.09 (0.93, 1.28), 1.10 (1.001, 1.12), 1.09 (1.00, 1.18) and 1.30 (1.14, 1.46), respectively. Additional adjustment for diet and physical activity did not appreciably alter the results. Increases in sleep duration ≥2 h/day remained adversely associated with diabetes (HR [95% CI]: 1.15 [1.01, 1.30]) after adjustment for change in covariates, including BMI. Increases in sleep duration among middle-aged and older women were modestly associated with risk of diabetes; changes in diet, physical activity and BMI did not explain associations. With 592 million cases projected by 2035, identifying modifiable risk factors for type 2 diabetes is of urgent public health importance . Sleep duration has emerged as a novel prevention target . A dose–response meta-analysis illustrated a U-shaped relationship, with the lowest diabetes risk at 7–8 h/day . Shortened sleep is related to glucose intolerance, insulin resistance and reduced acute insulin response to glucose [4, 5, 6, 7]. For long sleep, some authors suggest that excessive time in bed has detrimental effects on health , while others argue long sleep is confounded by mood disorders, sleep apnoea and chronic illness . The mechanisms underlying the sleep–diabetes relationship remain unsettled, as does the degree of mediation by lifestyle. Extreme sleep durations may influence both energy intake and expenditure . Experimentally shortened sleep alters appetite-regulating hormones (decreased leptin; increased ghrelin) leading to over-eating, increased hunger [11, 12, 13], decreased self-regulation and greater sensitivity to food reward [14, 15]. With respect to energy expenditure, results are inconsistent: limited experimental evidence does not support a substantial impact of sleep restriction on daily energy expenditure [13, 16], despite increased fatigue and reductions in reported physical activity . Most epidemiological studies use single, baseline measurements of sleep duration and do not examine whether diet and physical activity explain the sleep–diabetes association. Our study builds on a 2003 publication from the Nurses’ Health Study (NHS) in which extreme sleep durations were associated with diabetes before BMI adjustment. In 2003, repeated measures of sleep duration were not yet available; thus, change was not assessed. Our study newly assesses whether long-term (14 year) changes in self-reported sleep duration in the NHS are predictive of concomitant changes in energy balance factors (diet quality, physical activity and weight) as well as subsequent diabetes risk. The NHS was initiated in 1976 when 121,700 female registered nurses aged 30–55 years completed a mailed questionnaire. The cohort is followed via biennial questionnaires, as described previously [18, 19]. Among 119,142 active participants in 2000, we excluded women with diabetes prior to 2000 (n = 11,729) or missing responses to questions on habitual sleep duration in 1986 (n = 34,479) or 2000 (n = 13,903), leaving 59,031 women. The Institutional Review Boards at the Harvard T.H. Chan School of Public Health and Brigham and Women’s Hospital approved the study protocol. Cases were defined as self-reported diabetes confirmed via a validated supplementary questionnaire regarding symptoms, tests and hypoglycaemic therapy. Before 1998, we used the National Diabetes Data Group diagnostic criteria. After 1998, we used the ADA criteria. A previous validation showed self-reported diabetes diagnosis through supplemental questionnaire confirmation was highly accurate: of 62 cases confirmed by questionnaire, 61 (98%) were reconfirmed by medical records . Nurses reported sleep duration in the 1986 and 2000 questionnaires, corresponding to hours of sleep in a typical 24 h period; response options were ≤5, 6, 7, 8, 9, 10 or ≥11 h, treated continuously with values assigned to the nearest integer (≤5 = 5 h; ≥11 = 11 h). In 1988, participants reported total years of rotating shifts, characterised as ‘at least three nights per month in addition to working days or evenings in that month’. Response options were: never, 1–2, 3–5, 6–9, 10–14, 15–19, 20–29 or ≥30 years. Given prior evidence that diabetes risk increases most after ≥5 years of shift work, we categorised this variable (<5/≥5 years) . Women reported snoring frequency in 1986, 2000, 2002 and 2008 and physician-diagnosed sleep apnoea in 2008. Information on confounders, e.g. age, race/ethnicity, employment, smoking, menopause, medications (e.g. hormone therapy, antidepressants [yes/no, first measured in 1996] and antihypertensive drugs) and physician diagnoses was collected via biennial questionnaires. Height was self-reported in the first questionnaire and weight in each biennial questionnaire, from which we calculated BMI (kg/m2). A prior validation showed a correlation of 0.96 between self-reported and technician-measured weight . Food and alcohol consumption was collected every 4 years via validated semi-quantitative food frequency questionnaires. Hypertension and hypercholesterolaemia were considered as physician diagnosis or related medication use. Depression was defined as physician-diagnosed depression or antidepressant medication. Diet quality was assessed by the Alternate Healthy Eating Index (AHEI-2010), based on a high consumption of vegetables, fruit, nuts/legumes, whole grains, long-chain fats, polyunsaturated fatty acids, and low levels of sugar-sweetened beverages and juice, red/processed meat, trans fat and sodium . Higher scores indicated better quality diets. Physical activity was defined from work/leisure activities as weekly energy expenditure in metabolic equivalent (MET)-h (vigorous activity was ≥6 METs) . In a previous validation , the correlation of questionnaire-reported physical activity was 0.79 with prospective 1-week recalls and 0.62 with activity diaries. Our main exposure was 14 year change in sleep duration: the difference in h/day between 2000 and 1986. This continuous change was categorised into a priori groupings: decreases in sleep duration (≤−2 h/day or >−2 to <0 h/day), no change in sleep between time points (0 h/day, reference), and increases in sleep duration (≥2 h/day or >0 to <2 h/day). We computed age-adjusted descriptive statistics by category of change in habitual sleep duration from 1986 to 2000 (Table 1). We used multivariable linear regression to examine associations of changes in sleep duration (1986–2000) with concomitant changes in energy balance factors over approximately the same period as change in sleep. Change in diet was represented by AHEI-2010 (change in score 1986 to 1998, the nearest questionnaire to 2000); physical activity by METS (change in h/week from 1986 to 2000) and energy balance by weight (change in kg from 1986 to 2000). We adjusted for race/ethnicity (non-Hispanic white, yes/no) and sleep duration at the start of the change period (1986) and covariates, including age (years), retired (yes/no), menopause (premenopausal or hormone therapy [never, past, or current user]), alcohol grams in quartiles, smoking (never, past, or current smoker [1–14, 15–24 or 25+ cigarettes/week]), diabetes family history (yes/no), snoring frequency (most nights, some or never), sleep apnoea (ever-diagnosis), antidepressant use (yes/no), shift work history (≥5 years), BMI (<20.9, 21–24.9, 25–29.9, 30.0–31.9, 32.0+ kg/m2), and hypertension or hypercholesterolaemia. Subsequent models adjusted for changes in these covariates (1986–2000). To examine the primary outcome of diabetes, we used Cox regression models jointly stratified by age in months at the start of follow-up and calendar year of the current questionnaire cycle to estimate HRs and 95% CI according to category of change in sleep duration. Individuals contributed person-time from the return of the 2000 questionnaire until the date of diagnosis of diabetes, death, loss to follow-up or end of the follow-up period (30 June 2012). Models adjusted for the variables listed above at the start of the change period in 1986 and for change in covariates (1986–2000). We varied our modelling approach by using an additional categorical exposure: we cross-classified women according to sleep duration in 1986 and 2000 (short [≤6 h/day], long [≥9 h/day] and normative [7–8 h/day]), with women reporting 7–8 h/day at both time points as the reference for comparison with women reporting consistently short, consistently long or changes in sleep duration (Fig. 1). To limit potential reverse causation, we considered excluding cases within the first 2 years of follow-up (n = 758) and those with chronic disease in 2000 (ever-diagnosis of cancer and/or cardiovascular disease [n = 11,186]). We considered excluding women >66 years (median age) in 2000 (n = 30,243) or who had conducted shift work for ≥5 years (n = 9,503). Data were analysed using SAS for UNIX (version 9.3; SAS Institute, Cary, NC, USA). Statistical significance was set at a two-tailed p < 0.05. Average sleep duration remained constant between 1986 and 2000; half of women (49%) reported normative durations (7–8 h/night) at both time points, while 15% were consistently short-sleepers (≤6 h) and 2% consistently long-sleepers (≥9 h). The correlation between sleep measurements in 1986 and 2000 was r = 0.42. The mean (SD, range) of change in sleep duration was 0 (1, −6 to 5) h/day. Over the same period (1986 to 2000), AHEI-2010 increased by 3 points (mean [SD] change, 3 ), from 46 to 49; physical activity increased by 3 MET h/week (mean [SD] change, 3 ), from 15 to 18; and weight increased by 4 kg (mean [SD] change, 4 ). BMI increased from mean (SD) 25 (4) kg/m2 in 1986 to 26 (5) kg/m2 in 2000. Mean age (SD, range) at the start of diabetes follow-up in 2000 was 66 (7, 53–82) years. Table 1 shows age-adjusted descriptive characteristics at the start of follow-up (2000) by categories of our main exposure, change in sleep duration from 1986 to 2000. Few women reported dramatic decreases (5%) or increases (7%) in sleep duration ≥2 h/day. Compared with women with lesser or no changes in sleep duration, women reporting increases or decreases ≥2 h/day had higher indices of body mass, lower indices of physical activity and diet quality, were more likely to snore frequently, smoke, have hypertension, hypercholesterolaemia or a family history of diabetes, take antidepressant medications or have conducted shift work for ≥5 years. Women who reported ≥2 h/day increases were slightly older and gained more weight from 1986 to 2000. Table 2 shows associations of changes in sleep duration from 1986 to 2000 with concurrent changes in diet quality (AHEI-2010), physical activity (MET h/week) and weight (kg). Overall, changes in sleep duration were only modestly associated with changes in energy balance factors: associations were small in magnitude after adjustment for 1986 values of confounders (including BMI and sleep duration) and for change in confounders between 1986 and 2000. For example, >−2 to <0 h/day decreases had an adverse association with changes in AHEI-2010; the mean difference (95% CI) for change in AHEI-2010 compared with women reporting no change in sleep duration was −0.25 (−0.48, −0.03) points. Compared with women reporting no change in sleep duration, both extreme decreases (≤−2 h/day) and increases (≥2 h/day) were adversely associated with change in physical activity, with mean differences of −1.16 (−2.15, −0.16) and −1.44 (−2.29, −0.58) MET h/week, respectively. Increases but not decreases in sleep duration were associated with greater weight gain: women reporting increases of >0 to <2 or ≥2 h/day gained 0.31 (0.15, 0.47) and 0.47 (0.21, 0.72) additional kilograms, respectively, between 1986 and 2000. We observed 3,513 diabetes cases among 59,031 participants over 612,410 person-years of follow-up. In initial Cox regression models stratified on age and calendar time, there was a U-shaped relationship of changes in sleep duration with diabetes; both decreases and increases were associated with greater diabetes (Table 3). After adjusting for sleep duration in 1986, the HR (95% CI) for participants reporting ≤−2, >−2 to 0, 0, >0 to <2 or ≥2 h/day changes in sleep duration were 1.18 (1.01, 1.39), 1.13 (1.03, 1.24), 1.09 (1.00, 1.19) and 1.40 (1.23, 1.58), respectively. Additional adjustment (race/ethnicity, diabetes family history, shift work, hypercholesterolaemia, hypertension, menopause, snoring, sleep apnoea, antidepressant use, smoking, alcohol, diet, physical activity and BMI), attenuated associations; only increases in sleep duration remained adversely associated with diabetes (1.15 [1.01, 1.30]). Adjusting for AHEI-2010 and MET h/week did not appreciably alter results, nor did subsequent adjustment for change in confounders and in BMI from 1986 to 2000. When we cross-classified women according to sleep duration in 1986 and 2000, women with chronic short sleep (≤6 h/day at both time points), or who initially reported ≤6 h/day but then increased sleep duration, had modestly elevated risk of diabetes compared with women maintaining a normative sleep duration of 7–8 h/day (1.10 [1.001, 1.21] and 1.21 [1.10, 1.34], respectively). Associations remained statistically significant after adjustment for confounders (Fig. 1), but after BMI adjustment associations of chronic short sleep attenuated (1.05 [0.96, 1.16]) while those with increases in sleep duration persisted (1.16 [1.05, 1.28]); data not shown. Importantly, interaction terms were not statistically significant and there were few women with sleep durations ≥9 h/day in 1986. In sensitivity analyses, excluding cases within the first 2 years of follow-up or excluding participants who conducted shift work for ≥5 years or with prevalent chronic disease did not alter results. Results were also similar when we excluded participants over the median age (66 years) in 2000 and interaction terms of age and change in sleep duration were non-significant. As in the main analysis, only increases of ≥2 h/day were associated with higher risk of diabetes. This study of 59,031 women is one of the first and the single largest to assess the relationship of long-term changes in self-reported sleep duration with changes in energy balance factors and subsequent risk of diabetes. Extreme increases in sleep duration (≥2 h/day) and consistent short sleep (≤6 h/day) were adversely associated with diabetes. After BMI adjustment, associations with diabetes were attenuated but remained statistically significant for increases in sleep duration; however, associations with chronic short sleep were attenuated. We also detected modest, adverse associations of 14 year changes in sleep duration with changes in diet quality and physical activity; however, diet quality and physical activity did not appear to mediate the association of increases in sleep duration with diabetes. Whitehall II is the only other study to examine changes in sleep duration (over ~5 years) and subsequent diabetes . Although key confounders and intermediates including shift work, sleep apnoea, snoring, depression, diet quality and physical activity were not measured in Whitehall II, the results were strikingly similar to those in our study: compared with consistent 7 h sleepers, both consistently short sleep (≤5.5 h/night; OR [95% CI]: 1.35 [1.04, 1.76]) and increases of ≥2 h/night (1.65 [1.15, 2.37]) were adversely associated with diabetes. Similar to our findings, these associations attenuated with adjustment for BMI and change in weight (to 1.25 [0.96, 1.63] and 1.50 [1.04, 2.16], respectively). That the attenuation of chronic short sleep duration with adjustment for BMI and weight change was more pronounced than that for ≥2 h/day increases in both our study and in Whitehall II underscores the possibility that extremes of sleep duration and changes in sleep duration may operate through different mechanisms or reflect different underlying disease processes. Contrary to our study, most prior longitudinal studies assess whether a single baseline measure of sleep duration predicts future diabetes. Assessing changes in sleep duration is appealing: if achieving a more adequate sleep duration prevented weight gain or diabetes, the corresponding public health message would be to improve sleep duration (e.g. from ≤6 h/day to 7–8 h/day) to benefit health. However, while chronic short sleep duration was associated with higher risk of diabetes in our study, our results are not consistent with the hypothesis that short or long-sleepers who achieve normative sleep durations will experience benefits for metabolic health. Instead, we found that extreme increases (and not decreases) in sleep duration were associated with weight gain and increased risk of diabetes, independent of prior sleep duration. One explanation for our finding that increasing sleep duration is adversely associated with diabetes is that age modifies the association of change in sleep with metabolic outcomes. Although we did not detect evidence of interaction, our study included middle-aged and older women; in the younger Quebec family cohort (n = 216 adults, 18–64 years), short-sleepers (≤6 h/day) who later slept 7–8 h/day were less likely to gain weight over 6 years compared with those with chronic short sleep . When we conducted a similar analysis, we too found that chronic short-sleepers (≤6 h/day at both time points) gained more weight compared with women who maintained a normative sleep duration (7–8 h/day). However, in our study, short-sleepers who increased sleep duration to 7–8 h/day had even greater weight gain and higher diabetes risk than those with chronic short sleep, and we found no associations among women with consistently long sleep durations of ≥9 h (although few women followed this pattern). Our findings are consistent with previous literature on the detrimental impacts of chronic short sleep duration on metabolic health [5, 6, 10], and newly suggest that the adverse influence of short sleep may not be ameliorated through increases in sleep duration later in life. However, we did not have information on why changes in sleep duration occurred. 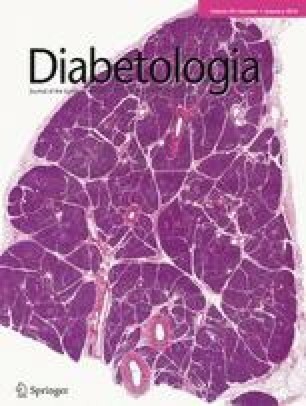 Changes in sleep duration could reflect voluntary alterations in lifestyle; be mediated through changes in other metabolic, hormonal or behavioural factors associated with diabetes; or represent a distress signal indicating pre-clinical illness. Since we controlled for many indicators of poor health (e.g. diet, physical activity, depression, sleep apnoea, hypercholesterolaemia, hypertension), changes in sleep duration may have a truly bi-directional relationship with changes in weight and metabolic health. In support of the hypothesis that long sleep or extending sleep duration may be truly harmful, in an actigraphy study of healthy adolescents, long sleep remained associated with insulin resistance after BMI adjustment. These findings suggest chronic illness alone does not explain associations of long sleep with metabolic dysregulation (among adolescents, reverse causation is less likely) . Increases in sleep duration can both result from or induce an inflammatory state. For example, proinflammatory cytokines—abundant in obesity—can induce sleepiness , while a recent experiment extending time in bed increased inflammation and worsened mood among healthy volunteers . Not only is longer time in bed associated with next-day lethargy and daytime sleepiness, as time asleep and time in bed increase, sleep becomes increasingly fragmented and the total amount of slow wave sleep (particularly restorative) does not increase proportionally . In addition, increases in sleep duration are accompanied by longer periods in the dark, which could be interpreted physiologically as a shorter day-length, previously associated with increased mortality . Thus, extending time in bed may not be a panacea for the adverse influence of short sleep duration on metabolic health. With respect to the relationship of changes in sleep duration to changes in lifestyle including diet and physical activity, cross-sectional studies suggest associations of both short and long sleep duration with less favourable diet and physical activity [32, 33]. However, prospective evidence is limited and whether long-term changes in sleep duration are accompanied by changes in diet quality or physical activity has not been examined, making few studies directly comparable with ours . In research examining mediation, diet and physical activity did not explain or attenuate the magnitude of associations between baseline sleep duration and weight gain or diabetes . This is consistent with our finding that changes in diet quality and physical activity do not explain associations of change in sleep duration with subsequent diabetes. Weight gain operates differently: in both our study and in Whitehall II , weight gain explained the relationship between chronic short sleep duration and diabetes but not the relationship between increases of ≥2 h/day and diabetes. One potential explanation is that measurement error masks mediation by diet and activity but is less of a concern for weight assessment. Another explanation is that chronic short sleep duration influences metabolic health independent of changes in lifestyle; e.g. sleep deprivation increases inflammation  or extends light exposure, leading to repressed melatonin secretion, which is associated with diabetes in this cohort . Increases in sleep duration may act on diabetes through other pathways or represent a different phenotype entirely. The sample size, longitudinal design, long follow-up and repeated measurement enabled examination of changes in sleep duration and of diabetes as an endpoint. These represent important strengths of our study, which is the largest to date and the only study to examine whether changes in diet and physical activity mediate associations of changes in sleep duration with diabetes. Further, we controlled for underlying illness more robustly than prior studies by adjusting for sleep apnoea, snoring, shift work, depression, diet, physical activity, hypercholesterolaemia and hypertension, and by excluding participants with prevalent chronic disease in sensitivity analyses. Observational research cannot establish causality. An additional limitation was that sleep duration was self-reported and assessed at two time points; fluctuations over follow-up would not be captured. Further, random error in self-reported sleep, diet or activity is magnified when computing change and could attenuate observed associations towards the null. Although self-reported sleep duration in the NHS was validated among 260 participants in 2002 and found to correlate well (r = 0.79) with 6 day diaries and have good reproducibility over 2 years , no objective measurements distinguishing time in bed from time asleep were taken and napping was not assessed. Thus, we cannot determine to what extent increased sleep duration represents increased time in bed, nor separate daytime from night-time sleep. Although we confirmed self-reported diabetes in medical records, misclassification is possible. However, in a sub-study assessing prevalence of undiagnosed-diabetes, only 1 of 200 women without a previous diagnosis had fasting plasma glucose or fructosamine concentration in the diabetic range . Further, results were similar when excluding cases in the first 2 years, suggesting limited bias from reverse causation. Finally, we examined overall diet quality and weekly physical activity; the circadian timing of sleep, meals and activity—not measured here—may also make important contributions to diabetes risk. Chronic short sleep duration and increases in sleep duration are associated with increased risk of diabetes. Decreases in sleep duration have modest, adverse associations with diet quality and physical activity, while increases in sleep duration have modest, adverse associations with weight gain. Ongoing trials will provide further insight as to whether changes in sleep duration influence energy balance. A study among chronically short-sleeping, obese adults could provide insight about the benefits of intentionally extending sleep duration , while another study will test whether moderate sleep restriction in long-sleeping older adults improves glucose tolerance and inflammation . As a complement to the forthcoming results of these intervention trials, our study examines longer-term changes in sleep duration with greater duration of follow-up in which diabetes outcomes can be assessed. We are indebted to the participants in the NHS for their continuing outstanding support and colleagues working in this study for their valuable help. This work is supported by National Institute of Health (NIH) grants UM1CA186107, NCI U54CA116847 and NIDDK T32 DK007703. All authors critically revised the manuscript for important intellectual content and approved the final version. EMC had full access to all the data, analysed the data, wrote and revised the manuscript, and is responsible for the integrity of the work as a whole. EMC, FBH, BR and SR conceived and designed the study question. SNB and YL assisted in analysing and interpreting the data.